The recently shed skin of a snake. Everyone knows that snakes shed their skin, and while they are not the only type of animal to participate in some type of shedding or moulting of skin or body parts, they are certainly the most well known. Perhaps it is the snake’s seemingly sly and sneaky nature that is so fascinating to people of all ages and makes their behavior especially interesting. One thing is for certain, a snake who has recently shed his skin is truly a sight to behold, as this is when snakes are at their most vibrant and beautiful. The first question you are probably asking yourself is why do snakes shed their skin in the first place? The simple answer is that snakeskin is not like human skin – as humans age and grow from infancy, our skin expands along with us. Snakeskin does not expand as a baby snake grows into adulthood, so from time to time a snake must shed its skin in order to allow for new growth. It’s all part of a natural process called moulting, which although it is practiced in various forms by many members of the animal kingdom, snakes are perhaps the most notable, with their skin often even picked up by collectors. It’s important to note that during the process of shedding, a snake is only actually shedding the outermost layer of its skin. Furthermore, while snakes do tend to grow at faster rates when they are young, just like humans, unlike humans, they never stop growing, even after they reach adulthood. For this reason, a snake will continue to shed its skin until the day it dies, although with much less frequency than when it was young. The average adult snake will shed its skin approximately once every 30-45 days. In order for a snake to shed its skin properly, some level of humidity must be present. 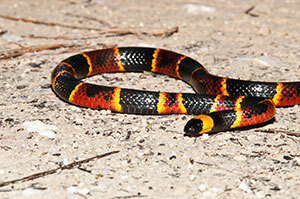 This is especially true of tropical snakes, who would likely have trouble surviving in drier climates. 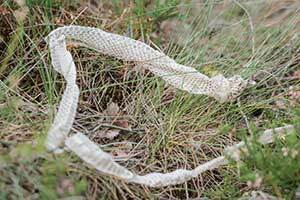 If a snake lacks proper moisture or is dehydrated, it may have trouble shedding its skin, and sheds may accumulate uncomfortably over time. While this may not seem like a serious problem initially, for a snake, it definitely is. The biggest problem arises when skin accumulation leads to multiple caps over the eyes, which can lead to blindness and ultimately to death. Furthermore, healthy snakes will generally shed their skin in one piece, and a broken or incomplete shed can also be a sign of a snake in poor health. While snakes are terrifying to some people, no one can deny that they are incredibly fascinating creatures, whether or not each person’s fascination leans towards love or hate. If your personal fascination draws you to observe snakes in their natural habitats, then a Florida Everglades tour is an excellent place to start. From the safety of an airboat ride, you can view snakes, alligators, and plenty of fish and birds while zipping across the water at top speeds, all the while getting up close and personal with some of Florida’s most interesting wildlife.